The toner cartridge is the container that holds the toner powder. The drum unit is an electrically charged cylinder that transfers that toner powder to paper to create text and images. Both of these components are essential for producing a print. Depending on what printer you own, you might be used to replacing your drum unit occasionally, or you may have never had to replace a drum unit. So, why the inconsistency? It is all contingent on the design of your printer. A drum unit can be incorporated with the toner cartridge or sold separately as a single unit, depending on the consumable requirements of your printer. Laser printers and their consumables vary across printer models. Some printers only need you to replace the toner cartridge, and others require that you regularly replace both the toner cartridge and the drum unit. Consult your printer’s user manual to determine what consumables are appropriate for your machine. Most printers use toner cartridges with the drum unit built into the cartridge. If you own an HP laser printer, for example, the drum unit is likely incorporated into the toner. Therefore, there is no need to replace the drum separately. Every time you buy a new toner for that HP printer, you are replacing the drum. Some printers, like most Brother laser printer models, use a separate toner and drum unit. In this case, the drum unit is not built into the toner, and therefore, must be replaced. 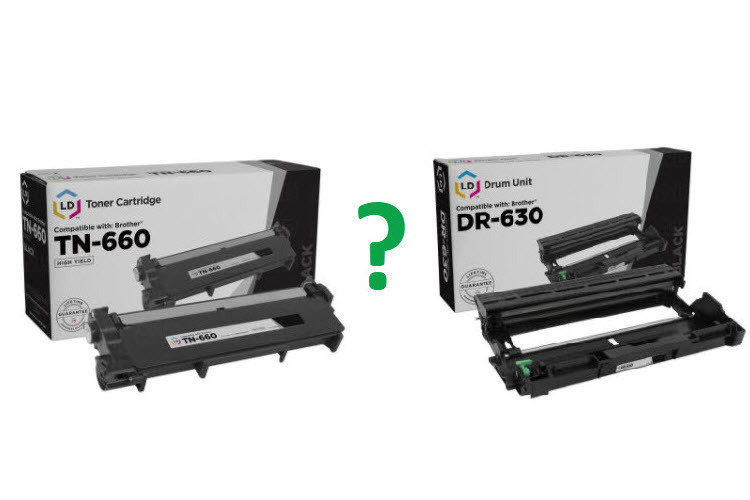 Separate drum units last quite a bit longer than a toner cartridge and typically should be replaced after the use of 3-4 toners. Your printer should inform you when it’s time to replace the drum, but you can usually tell your drum is on it’s last legs if you start to see black spots or lines across the page. Why do I need a drum? Without a drum unit, the toner powder in the cartridge cannot be transferred onto the page. The two parts work together to create a print! 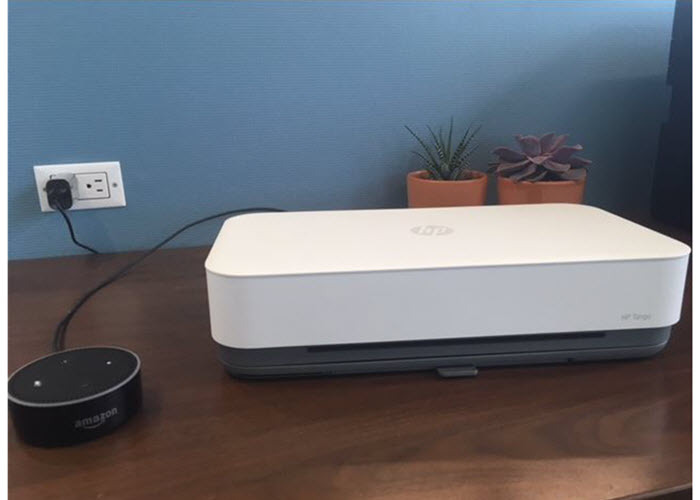 You can’t have one without the other and expect the printer to work properly. Which type of printer is better? There is no real winner here in terms of a “better” printer. Printers that use toners with an incorporated drum unit work just as well as printers that use a separate toner and drum. The only contrast worth noting is the price of consumables and how that pricing affects their replacement. Toners with an incorporated drum tend to be a bit more expensive than a solitary separate toner. That price increase makes sense too, you are essentially paying a premium for a new cartridge and drum unit whenever you run out of toner. To illustrate let’s compare two printers: the Brother HL-L2340dw printer which uses a toner cartridge and drum unit (the TN630 and the DR-630 respectively), and the HP LaserJet P1102w printer which uses an integrated toner-drum unit (the HP 85a). The comparison above confirms what we mentioned earlier: that the Brother printer with the separate toner and drum unit is more economical than the HP LaserJet P1102w with the integrated toner-drum unit. Buying a new toner/drum combination every time ensures your print quality is consistent throughout the life of your printer, but that premium cost adds up, especially if those cartridges are upwards of a hundred dollars. The price breakdown of a separate toner and separate drum unit is slightly different. Separate toners are generally less expensive since you are just paying for the container part that holds the toner powder. The technology is not quite as complex as a toner/drum combination cartridge, so it doesn’t cost as much to produce. Keep in mind, the drum unit will need to be replaced eventually, as we mentioned previously, a drum is typically replaced after the use of 3-4 toners. Drum units can cost at least a hundred dollars or more, so an added expense will ultimately come into play. What type of printer is best is all up to customer preference. Some customers prefer paying a bit more for toner with an incorporated drum, that way they don’t have to worry about diminished print quality over time, or need to go out and buy a separate consumable whenever their prints get spotty. Others might prefer the immediate cost savings of a separate toner cartridge, and don’t mind investing in a new drum occasionally. Whichever printer type you go with, make sure you factor in the price of the cartridges and the drum (if required), so have a clear understanding of replacement costs over the long term. To save more on laser printers, you should consider using compatible toner cartridges and drum units. For instance, a compatible Brother DR-630 drum unit only costs $26.00 whereas an original Brother DR-630 will run you $85.99 making the compatible option 70% cheaper. To get a better understanding of how a separate toner cartridge and drum unit install in a Brother laser printer, check out our video below. If you are wondering why we don’t have a similar video for a toner with an incorporated drum unit, it’s because the installation process is as simple as installing a toner cartridge, all you have to do is slide the toner into your printer! We hope you found this explanation helpful. 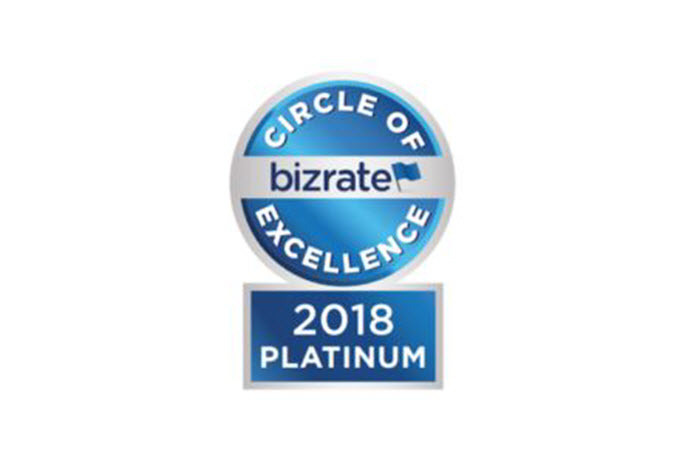 If you have any questions about your toner or drum cartridge, or have a laser printer that you’d like to recommend, drop us a line in the comments section below. I just replaced drum in Brother HL2270DW with your LD DR420. I replaced current toner cartridge that is not empty into new drum. There is a squeaking noise as it prints. The toner cartridge is a replacement cartridge from EPS TN-450. What should I do? This is the first drum replacement from the original. The toner cartridge the 2nd replacement used. Other wise have been using Brother brand cartridges. Thanks in advance for your suggestions. Have you tried reinstalling the drum unit into the toner? It may not be seated properly. Hope this helps! If you still have trouble, all of our LD brand products are backed by a lifetime guarantee, we’d be happy to get a replacement out to you. Hello. I was trying to replace a Brother toner TN-2380. The printer supply shop in Danang Vietnam said the compatible toner was TN-2385. I am having difficulty fitting this in… any advice? 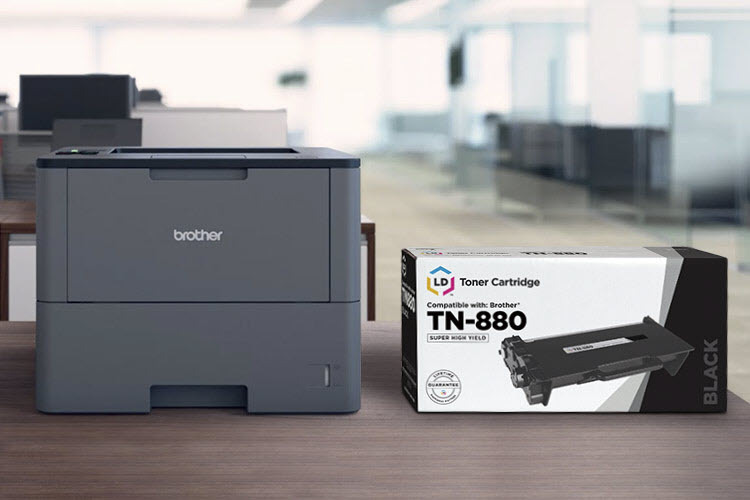 I looked up the Brother TN-2380 and it looks like it is compatible with the following Brother printers: HLL2320D, HLL2360DN, HLL2365DW, DCPL2520D, DCPL2540DW, MFCL2700D, MFCL2700DW, MFCL2740DW. Do you own one of those printer models? Since we are a U.S. based company, we aren’t very familiar with Brother printers that are sold in Vietnam. If you do have the correct toner and are having trouble fitting it in the printer, you may need to remove the drum from the printer first. Then, insert the toner into the drum and reinstall them both together as one unit. You can see a demonstration of how to install a Brother toner into the drum unit in our installation video here: https://youtu.be/4pWV5ALMvCY Hope this helps! My new HP laserjet said I’m low on toner, but the drum has 100%. What does that mean?!? I ordered a drum because it seems to get more copies for the dollar. Now it seems I should have ordered a toner cartridge instead!! Why does this have to be so confusing?! I just want to be able to print. Now I’m afraid I have to return the drum and buy a cartidge and will probably lose ability to print in the meanwhile. Great question! If you are low on toner, you’ll want to replace the toner cartridge. The drum unit only needs to be replaced after the use of 3-4 toner cartridges, so if your drum life is showing 100% you definitely don’t need to replace it yet. It sounds like you were probably looking at the drum unit yield when you were researching copies for dollar. The drum unit yields more copies because it can be used for at least 3-4 toner cartridges. After you use a couple of cartridges you should notice the drum life percentage start to decline and eventually, you’ll need to replace the drum. Hope this helps! How much developer does a Xerox Phaser drun # 108R01418 hold? Hi Harold! No you don’t have to replace the drum everytime you change toner unless you have an HP toner cartridge which usually comes with an integrated drum unit. Drum units have longer lifespans (higher page yields) than toner, you’d usually go through three toner cartridges before needing to replace the drum. I’ve just put an LD toner cartridge, CF210X, in an HP Laserjet 200 ColorMFP. It replaced a prior black LD cartridge that worked just fine. Now the pages print almost black over the whole sheet, edge to edge. Can’t find anything online like it for troubleshooting. Can you help? Please! Hi Steve, Have you tried cleaning the drum unit? Hi Pam, you might try cleaning the transfer roller inside your HP P1102w. Toner can sometimes build up on the roller and create light prints. You can gently wipe down the transfer roller with a dry cloth, but you will need to turn it to ensure the entire roller gets clean. Also, try not to touch the transfer roller with your fingers, you don’t want to get finger print oils on it. Hope this helps! What is the purpose of the green tab on the drum that slides across and back? The green tab on the drum is the corona wire. This projects an electrostatic charge onto the drum to attract toner onto the page. If you are having print quality problems, you can slide the tab back and forth a few times to try and resolve the issue. A have a LEXMARK E260dn model of printer. I have to change toner at first time. I would like to ask if I put the replacement toner Xerox model without drum it’s will be OK.
And if I will put the Xerox replacement toner instead of Lexmark it will be working without any problems? Thank you in advance your answer. I have Samsung CLT-3185 printer that is printing faintly. What is your recommendation.. Do I replace entire cartridge with toner or just replace the drum? 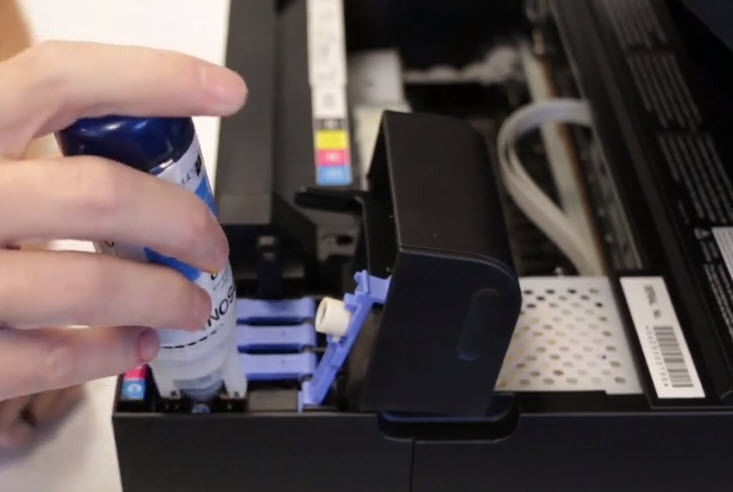 You’ll probably want to replace the toner first since it is usually the first to go. How many toners have you gone through? When was the last time you replaced the drum?